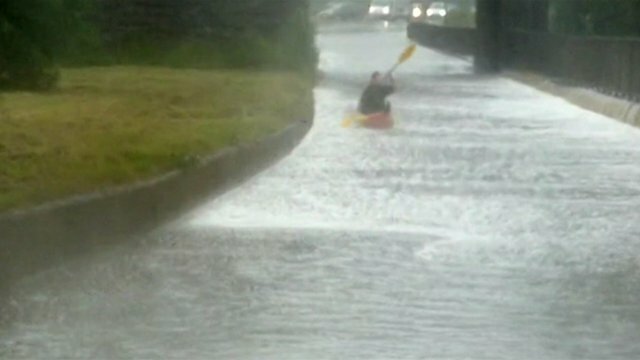 Flash floods hit Yorkshire towns Jump to media player Parts of West Yorkshire have been hit by flash flooding after a month's worth of rain fell within three hours. 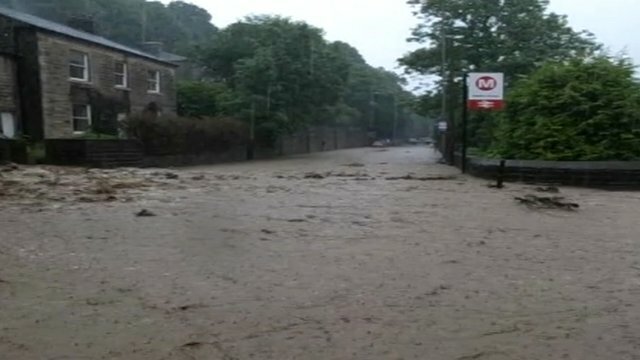 Flash flooding in Hebden Bridge Jump to media player Parts of West Yorkshire have been hit by flash flooding following a sudden downpour. Flood warnings remain for UK Jump to media player Dozens of flood warnings remain in place across Britain, with more heavy rain forecast for some areas later. 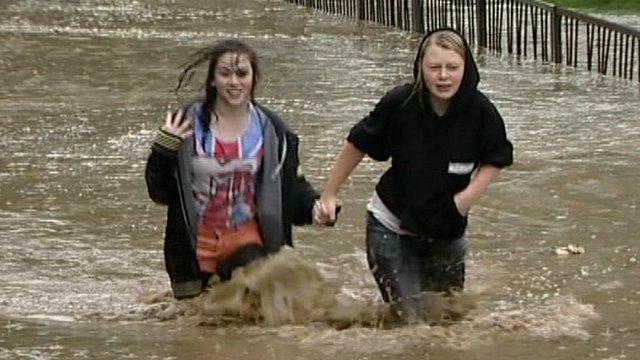 Almost a month's worth of rain has fallen within three hours in parts of West Yorkshire. Residents of Hebden Bridge and Mytholmroyd have been warned to stay indoors. It is the third time the towns have been flooded since last month.